San Francisco’s record 24 ballot initiatives for November include some that are very good and others that are pointless or affirmatively bad. Here’s my top five list. San Francisco would not be the first city to pass a soda tax (Berkeley and Philadelphia have) but Prop V will reaffirm the city’s place as a national public health leader. Most San Francisco voters favored the tax in November 2014 but that measure required a 2/3 vote; now only a simple majority is required and the measure will win. I think Malia Cohen’s leadership on the soda tax also undermines the claim often made by the American Beverage Association that the tax discriminates against African-Americans. 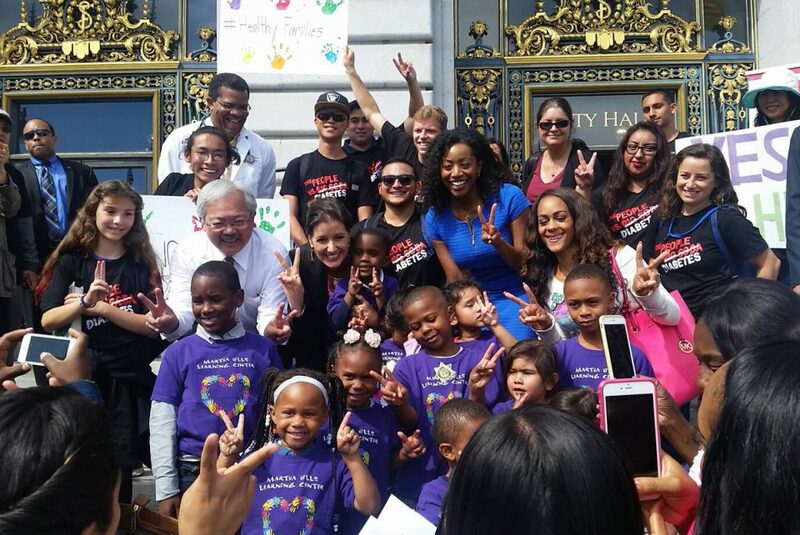 And Mayor Lee’s support will particularly help win Chinese-American voters. This initiative would raise real estate transfer taxes on the sale of properties over $5 million to cover enrollment fees for City College of San Francisco students who live or work at least half-time in San Francisco. With most students attending City College from low-income families, Prop W is a smart and equitable strategy for helping deserving San Franciscans in need. These measures raise the city’s sales tax by .75%, allocating $50 million of the proceeds to homeless services and $100 million for transportation. San Francisco cannot make progress on reducing homelessness—or even keep at current levels— without spending more on housing and services. The federal government’s multi-decade refusal to provide sufficient affordable housing funding to cities requires that local resources be tapped. This will win easily, but San Francisco’s strengthening of police oversight will be part of the national post-election narrative. It needed to be on the ballot. In this era of hateful immigrant bashing, San Francisco is fortunate to have a measure on the ballot that extends to non-citizens the right to vote in San Francisco School Board elections. No, this measure will not solve other problems in our schools. But it does send a powerful message to the parents of many of the kids in city schools that their input is desired and appreciated. This measure changes longstanding San Francisco law by allowing market rate developers to meet their inclusionary affordable housing requirements by providing rental housing at 110% of area median instead of the current 55%. Why would San Francisco want to do this? Or better, why should San Francisco remove affordable housing opportunities for those most in need of such? Prop U conflicts with Mayor Lee’s strong commitment to providing affordable housing at all income levels. It is a mean spirited measure that deserves a major defeat. The police already have the power to remove tents. I know this from personal experience, as the Tenderloin Police Captain regularly works with DPW to remove these structures. Jeff Kositsky, Director of the Department of Homelessness and Supportive Housing, already has a strategy in place for closing down the city’s encampments. He does not feel Prop Q is necessary to fulfill this goal. I know that sponsor Mark Farrell cares about reducing homelessness, but Prop Q adds a layer of notice requirements and legal protections for sidewalk camping that will make the problem worse. Prop Q is divisive and diverts attention from real solutions. If you support making it easier to pitch a tent on San Francisco’s sidewalks, you should back Prop Q. Of the four Board attacks on Mayor Lee’s power (Props D, H, L and M), this makes the least sense. How does it serve democracy to have residents of a district represented by an interim supervisor who is legally forbidden from running for their own term? An interim supervisor accountable to no one? Prop D is really about a Board majority not wanting Mayor Lee to appoint the replacement for D6 or D8. What are they so afraid of? When Lee made an appointment that did not reflect the district—-Julie Christensen in D3—the voters rebuffed the mayor and elected Aaron Peskin. If Lee makes an appointment to D6 or D8 that is similarly misguided, the same will occur. Prop D is a bad idea whose time should never come. The backers of Prop P either do not understand the city’s affordable housing industry or want to weaken it. Under Prop P, the city could not approve a proposed non-profit affordable housing development if it did not get three competing proposals. What’s magical about three? If the only proposal MOCD got was totally solid on its numbers and clearly doable, why must it not get funded due to the lack of other proposals? Prop M is on the ballot for one reason: nonprofit housing groups felt they could not defeat the awful Props P and U straight up, so put Prop M on the ballot as a “poison pill.” If M wins, P and U are invalidated even if they get more votes. Prop M takes away the mayor’s power over housing and economic development and hands it to a seven member commission. The mayor appoints only three. None are even required to have economic development or small business experience, yet they will be setting city policy in this area. Prop M may be the hardest of the anti-mayor measures to defeat, as it claims to promote “transparency.” But Prop M is really a power grab by a small group that wishes to further politicize city policies on housing and economic development. If voters see through Prop M’s rhetoric amidst all the other ballot measures and candidate campaigns, it will lose.